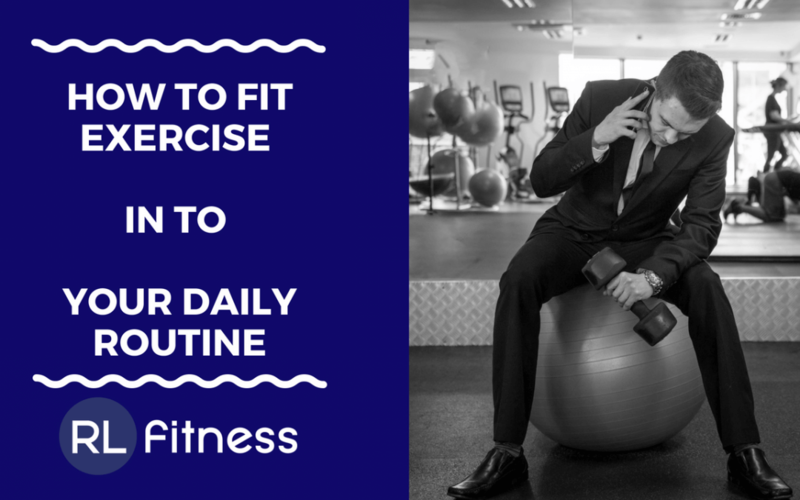 Today I want to cover how to fit exercise into your daily routine. I often hear from people that “they’re too busy to exercise” or that “they would love to exercise but they struggle to find the time to exercise.” So in this blog I’m going to cover some simple tips to help you fit exercise into your daily routine. make time to exercise by getting out of bed earlier in the morning. If you want to exercise instead of saying to yourself “I don’t have the time” Make time for it by getting up earlier, at least 30 minutes- an hour earlier than you normally would. It doesn’t have to be a full workout, you could go for a power walk or a run or even some basic body weight exercises such as push ups, squats and lunges etc. 2. Find A Free Slot In Your Diary. The second way to fit exercise into your daily routine is to look for free slots in your diary. We all say ” I don’t have time to exercise” but I guarantee you if you have a look in your diary you will have at least a 30 minute-1 hour slot somewhere that you can fit a workout in. This could for example be on your lunch break, if you get an hour for lunch you could spend 30 minutes doing a workout and 30 mins eating your lunch. Maybe you have a lot of free time in the evening, look for free space where you are not currently doing anything and block out that time for a workout. people claim not to have time to exercise yet they still somehow find the time to watch the latest boxset on TV / netflix. You can still do this but why not make use of this time? Do some basic body weight exercises while you watch TV. For example push ups, squats, tricep dips and lunges etc. The 4th way to fit exercise into your daily routine is to have an active commute. I have recently purchased a bike and I cycle into work everyday. Cycling is one way to have an active commute. You could also walk or run to work. Essentially doing some form of activity that means your commute to work is active and you are not just sat down in a car or bus etc. If you do have to drive to work, instead of parking as closes as you can to your office/ place of work park slightly further away. This will help to increase your step count as you have to walk a little bit further to get there. Instead of being convenient and using a lift or escalator use the stairs. This will help you to be a little bit more active, increasing your step count, and this could be the difference between you losing weight and not losing weight. This come under what is called N.E.A.T. which stands for Non Exercise Activity Thermogenesis. This is anything that is not considered a planned workout/ exercise but still burns calories. This is things like steps and fidgeting etc. The final way to fit exercise into your daily routine is 24 hour gyms. 24 hour gyms exist and are available pretty much everywhere these days. The excuse of the gym being closed/ not opening early is no longer valid. 24 Hours gyms are perfect for every schedule, you can go before work or after work. Those were just a few tips to help you fit exercise into your daily routine. This is something I’m very passionate about and most of my clients tend to be busy professionals who are in office jobs and have very busy schedules. 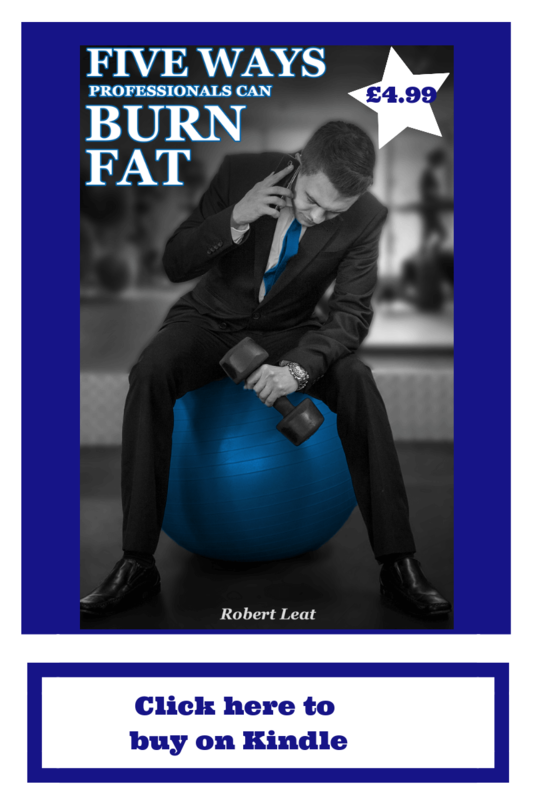 I love to work with this type of client so much that I actually wrote a book .